i. India and Singapore have signed the Second Protocol amending the Comprehensive Economic Cooperation Agreement in New Delhi which will boost bilateral trade between the two countries. ii. Both sides agreed to expand the coverage of tariff concessions, liberalize the Rules of Origin, rationalize Product Specific Rules and include provisions on Certificate of Origin and Cooperation on its verification. · Halimah Yacob is the Present President of Singapore. i. Prasar Bharati and Mizzima Media Group of Myanmar signed an MoU to realize cooperation and collaboration in broadcasting and content sharing. The agreement was signed in the presence of Prasar Bharati CEO, Shashi Shekhar Vempati in New Delhi. ii. The Agreement will realize cooperation and collaboration in broadcasting and envisions content-sharing covering a wide range of genres, including culture, entertainment, education, science, news and sports along with other areas of mutual interest. i. In a big step forward to strengthen the startup ecosystem in Rajasthan, the Chief Minister Vasundhara Raje launched India’s largest business incubator the Bhamashah Techno Hub in Jaipur. ii. The incubator will provide end-to-end support to startups, ranging from infrastructure, technology, angel funding, access to venture capitalists, mentorship, exposure to national and international organisations and experts and much more. · Kalyan Singh is the present Governor of Rajasthan. i. 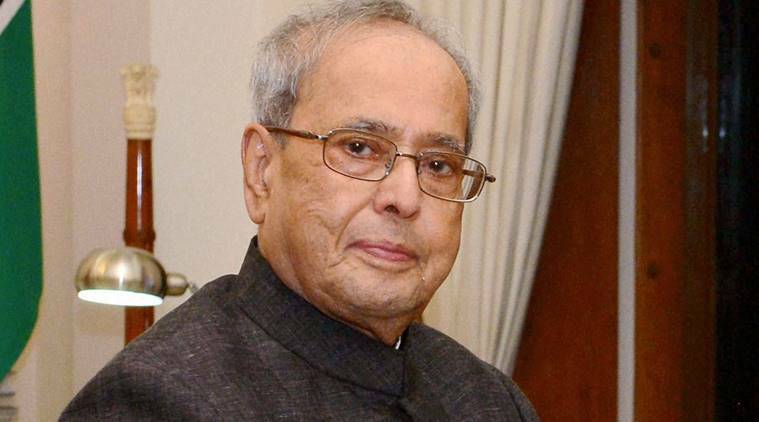 Former President Pranab Mukherjee launched the National Electoral Transformation (NETA) mobile application to rate Members of Parliament (MPs) and Members of Legislative Assembly (MLAs). ii. 'Neta - Leaders' Report Card' App, the brainchild of 27-year-old entrepreneur Pratham Mittal, is a platform where voters can review and rate their elected representatives and hold them accountable as well. i. The Defence Acquisition Council (DAC), chaired by Defence Minister Smt Nirmala Sitharaman accorded approval for procurement for the Services amounting to approximately Rs. 46,000 crores. ii. The DAC in a landmark decision approved procurement of 111 Utility Helicopters for the Indian Navy at a cost of over Rs. 21,000 crores. iii. This is the first project under the MoD’s prestigious Strategic Partnership (SP) Model that aims at providing the significant fillip to the Government’s ‘Make in India’ programme. · General Bipin is the present Chief of Army Staff. · Admiral Sunil Lanba is the Present chief of Naval Staff. · Air Chief Marshal DS Dhanoa is the present chief of Airforce Staff. i. For the first time, India's only aircraft carrier INS Vikramaditya will be fitted with a marine hydraulic system to boost the air operations of the ship. Hydraulics technology uses fluid pressure to power machines. ii. Technodinamika, a subsidiary of Russia's Rostec State Corporation, will install the system in the Indian Navy ship by May 2019. The GS-1MF hydraulic system is used in helicopters, while GS-3 is used in aircraft. · INS Vikramaditya is 284 metres long and 60 metres high that's about as high as a 20-storeyed building. · The ship weighs 40,000 tonnes and is the biggest and heaviest ship in the Indian Navy. i. Exercise Shanghai Cooperation Organization (SCO) Peace Mission 2018, the latest in 'Peace Mission' series formally started at Chebarkul, Russia. All the 8 member nations will participate in this exercise. ii. The SCO Peace Mission Exercise is one of the major defence cooperation initiatives amongst SCO nations and will be a landmark event in the history of SCO defence cooperation. · The Shanghai Cooperation Organization (SCO) is an intergovernmental organization founded in Shanghai on 15 June 2001 by six countries, People’s Republic of China, Kazakhstan, Kyrgyz Republic, Russia, Tajikistan, and Uzbekistan. · SCO Headquarters in Beijing, China. · The 8 member nations of SCO are China, Kazakhstan, Kyrgyzstan, Russia, Tajikistan, Uzbekistan, India, and Pakistan. i. Industry chamber Assocham appointed former bureaucrat Uday Kumar Varma as its new Secretary General. He succeeds DS Rawat who held the position for nearly 14 years. ii. Varma has extensive administrative experience at the highest levels of administration both in the state government (of Madhya Pradesh) and central government. · Sandeep Jajodia is the present President of Assocham. i. Indian women’s team fast bowler Jhulan Goswami announced her retirement from T20 Cricket Internationals. The veteran player played 68 T20 Internationals and took 56 wickets at an economy rate of 5.45.
ii. The 35-year-old will only play ODIs. In ODIs, she is the world’s highest wicket-taker with 200 scalps from 169 games.